I am a Professor and the Australian Government’s Women in STEM Ambassador. Author of ‘When Galaxies Collide’ (Melbourne University Publishing) and presenter on ABC Television’s Stargazing Live. My research interests include the origin and evolution of cosmic magnetism, supernova remnants, the interstellar medium, massive star formation, galaxy mergers and astrophysical masers. 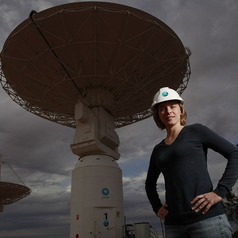 I am the former Project Scientist for CSIRO’s Australian Square Kilometre Array Pathfinder (ASKAP), and for the Square Kilometre Array.